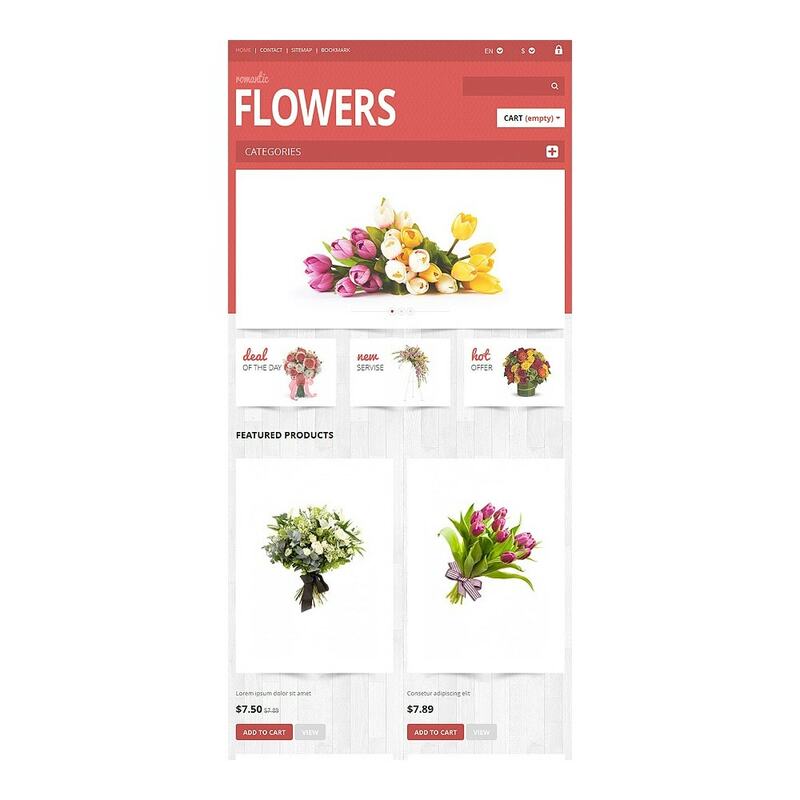 Flowers bring a romantic tone in everyday life. 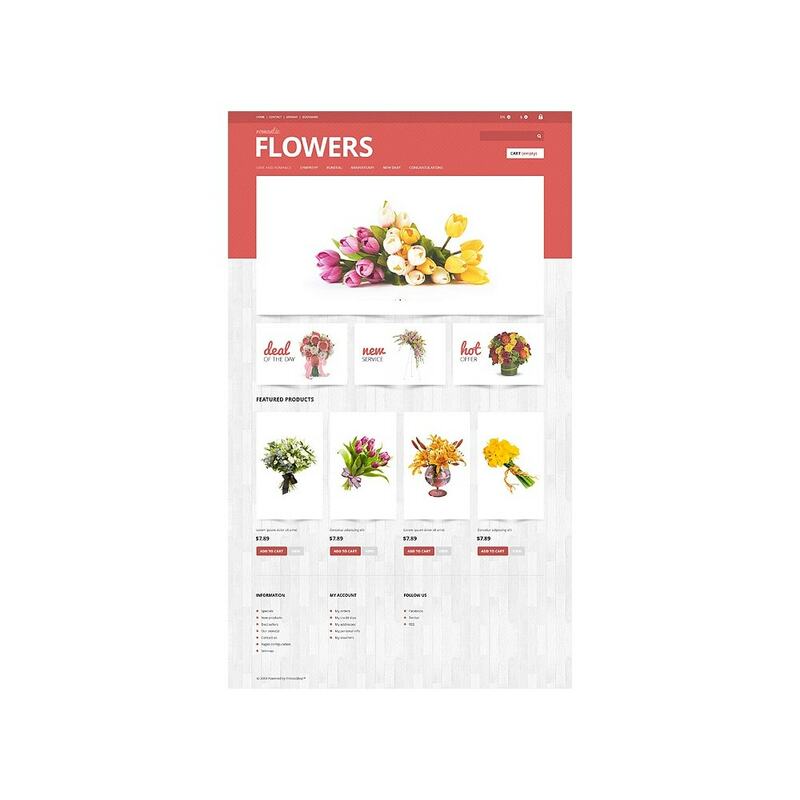 A good shop of flowers offers a variety of them to choose on any possible occasion. 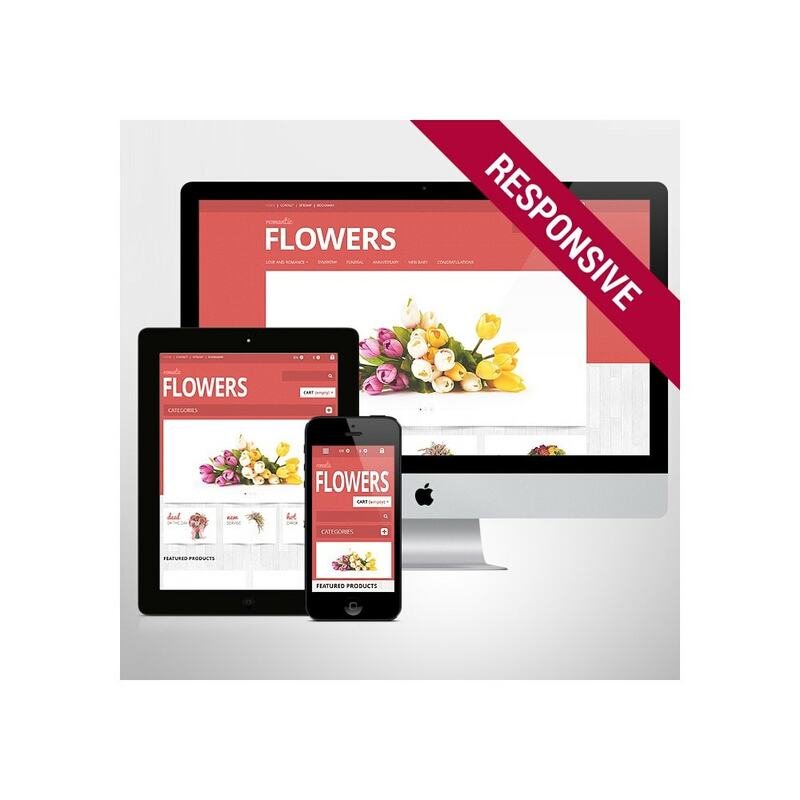 The focus of this template is put on the products, without unnecessary distractions. 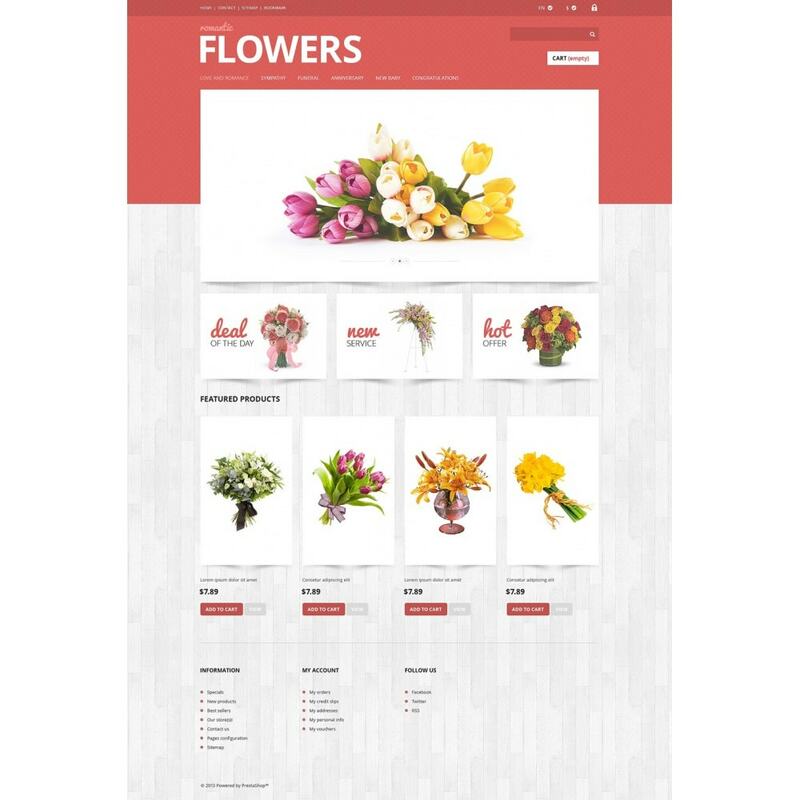 Flowers are presented against the white textured background with a nice coral part in the header. 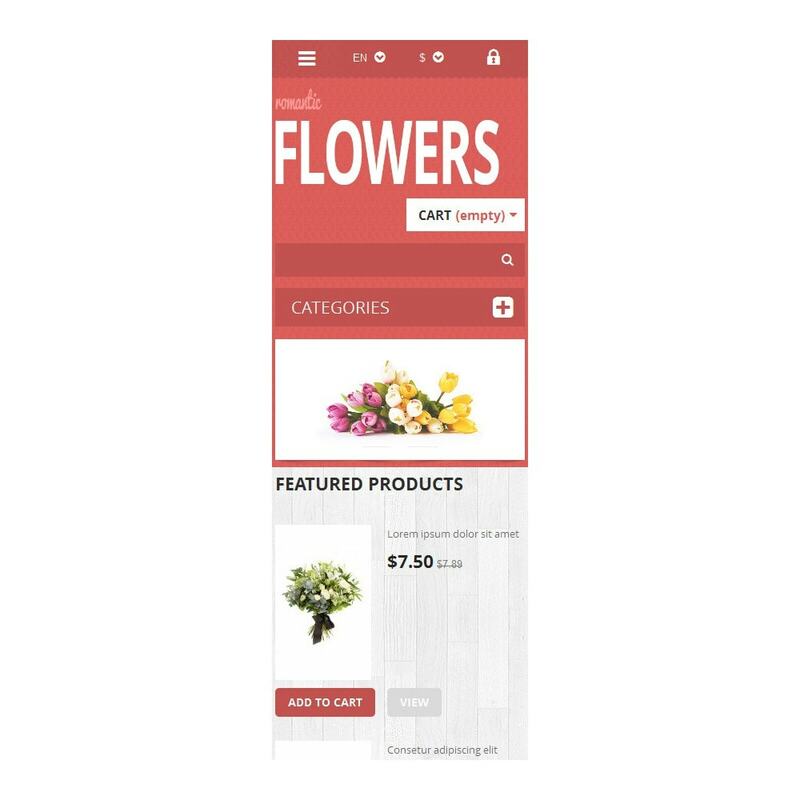 Red 'Add to Cart' button perfectly works calling the visitors to make an action. 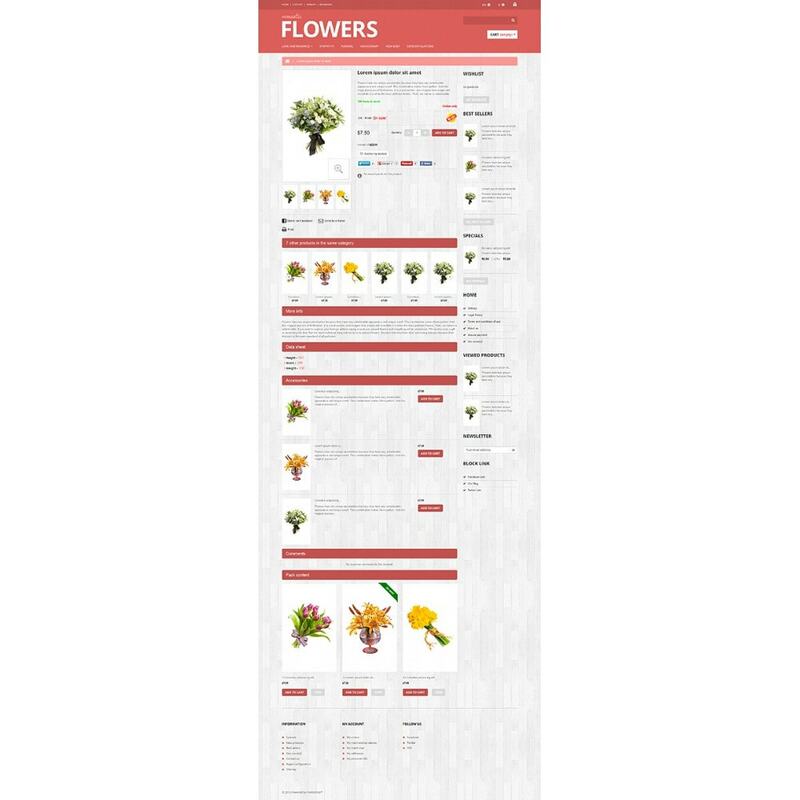 Additional information and useful links are wisely placed in the footer area. 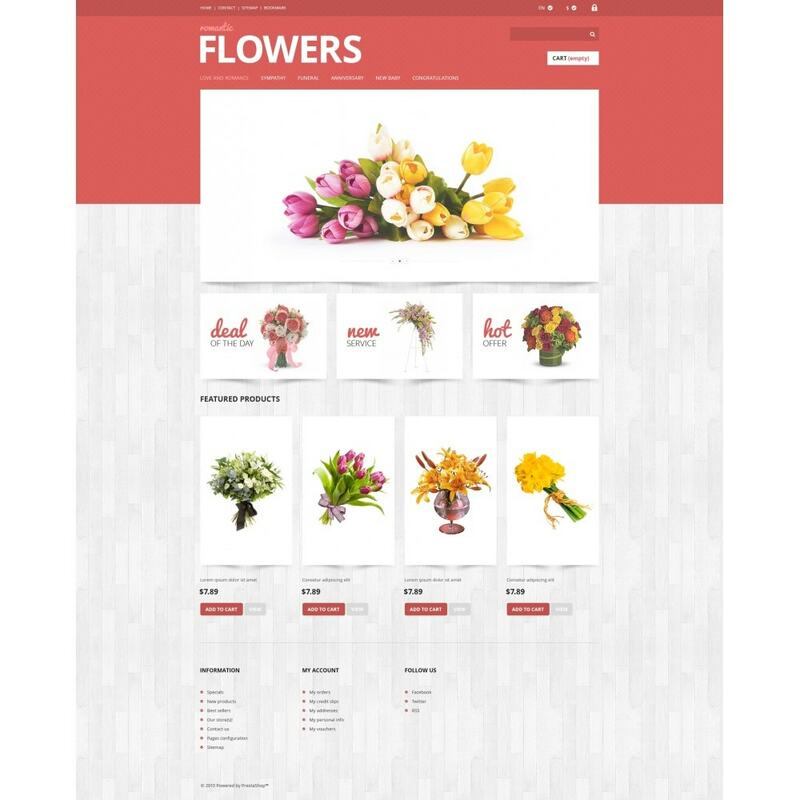 Choose this lofty design to invite more clients to your flower shop. 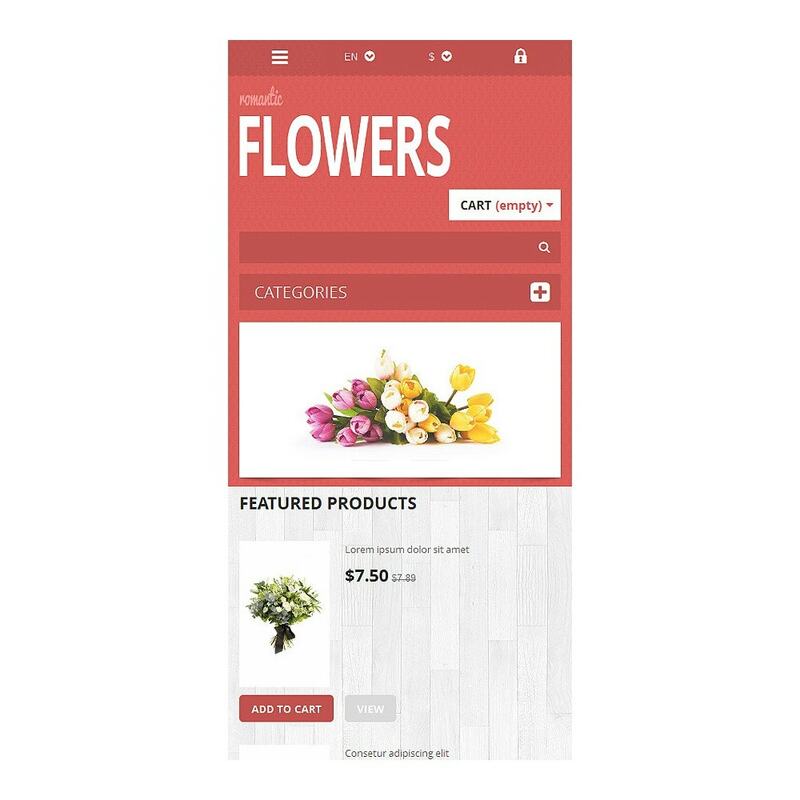 The contemporary template is perfect for flowers eshop.